jackgordon.org | Opening Day for the Seattle Pilots' 2nd Season. In 1970? 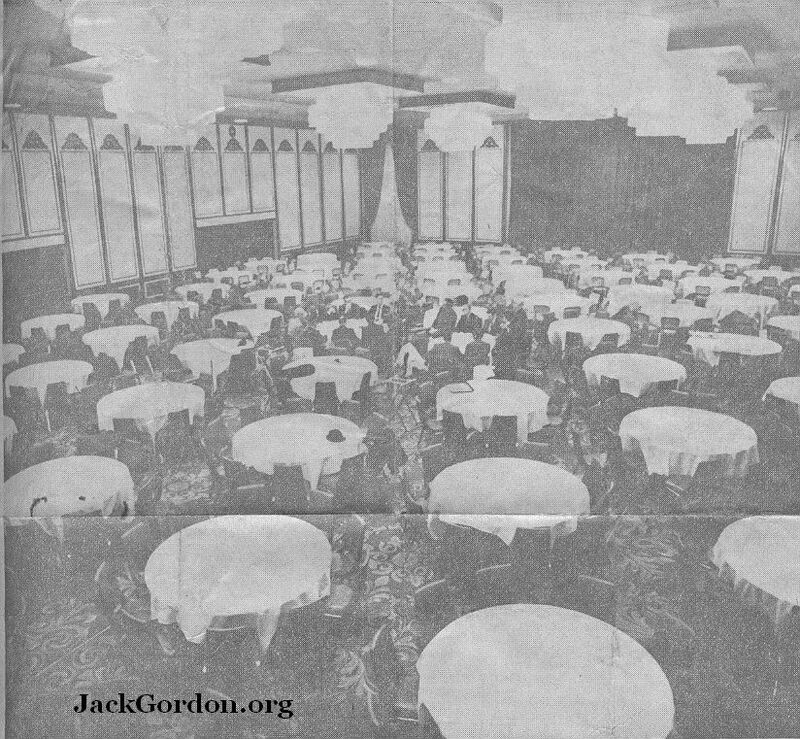 Handful of selected Seattleites were far from filling the hotel's Grand Ballroom. It was more fun than funereal, more cheerful than tearful. Nevertheless, some of the laughs were forced at the "Opening Day" baseball luncheon yesterday in the vastness of the Grand Ballroom of the Olympic Hotel. That vastness was accentuated by the smallness of the "crowd" at this party of parody conceived by Jack Gordon and Ralph Grossman. About 20 participants were on hand instead of the expected near-1,000 had the Pilots remained in Seattle. In the interest of contrast, only that 20 were invited. The baseball show, said Gordon and Grossman, must go on. It did. Some true feelings were camouflaged with flimsy whimsy and bravado bits of humor. Mayor Wes Uhlman said: "I think I should have been invited to throw out the first ball in Milwaukee." The guests were furnished with collectors' items, Pilot baseball caps. The table's centerpiece was an arrangement of three autographed Pilot baseballs formed into pawnshop insignia. Bankruptcy, you know. R. C. (Torchy) Torrance, as is his wont, did the extemporaneous speechifying, at which he is adept. All contributed gems of jest which, another time, might have been hilarious. This day, they were not. All knew what the city had lost. The mayor wondered aloud what the city might do with Sicks' Stadium and, all around, the prevalent word was "unbelievable," in description of the Pilot fiasco. Even Edo Vanni was subdued. The laughing, then, mostly was on the outside. Full impact of the city's sports loss still is to be felt. At best, the atmosphere at this noon nibbling was awkward. However, no one at the table hoped for snow today in Milwaukee. And the food was good. There were no Sorianos present.